WOAH! Today. Insane in the membrane. Y'all I'm so thankful for so much; my heart is like a balloon with way too much air in it.....like it's about to pop. We had a WONDERFUL day at the Whole Foods farmers market and I can't begin to express my gratitude for the people who showed up and for some news we received today that is very promising that I hope I can share with you all sooner rather than later! I know this is a short blog, but I will try to be more efficient with my blogging time, but I'm bakin' like a maniac y'all! I mean, I don't even have time to watch reruns of Matlock and Cheers. And here I thought the only thing that'd keep me from that was the apocalypse; nope, turns out it was cupcakes and I'm lovin' it. WE SOLD OUT!!!!! WHOOOP WHOOOOP! Thank you thank you thank you to everyone who came out to support us today at the Farmers Market! I am so grateful to all of you for your continued support (and I totally get that y'all may get sick of me saying that, but I'm gonna keep saying it because I mean it). I need to give a shout out to Chris Maloney who is a mastermind website GENIUS and manages to make me understand the technical side of web layout and design. I'm convinced Chris could teach a 6 month old to successfully code a brilliant website....I'm mind blown, on the real. BRAVO! to you Chris for making our new website look oh so fly! You know, it's pretty crazy how people/angels/good samaritans are sent to you in DUE TIME! There's no chance The Kind Cake would have gotten this far without HELP and I consider it a blessing, really. Anywhooo, The Kind Cake crew is tuckered out but we are so thankful for the hearts that helped us prepare and that showed up. We were super stoked that we were able to share our message of kindness to a receptive and very rad group of people who traveled through the market today. Hey guys! Since last week things have gotten pretty crazy....crazy in a good, busy way. 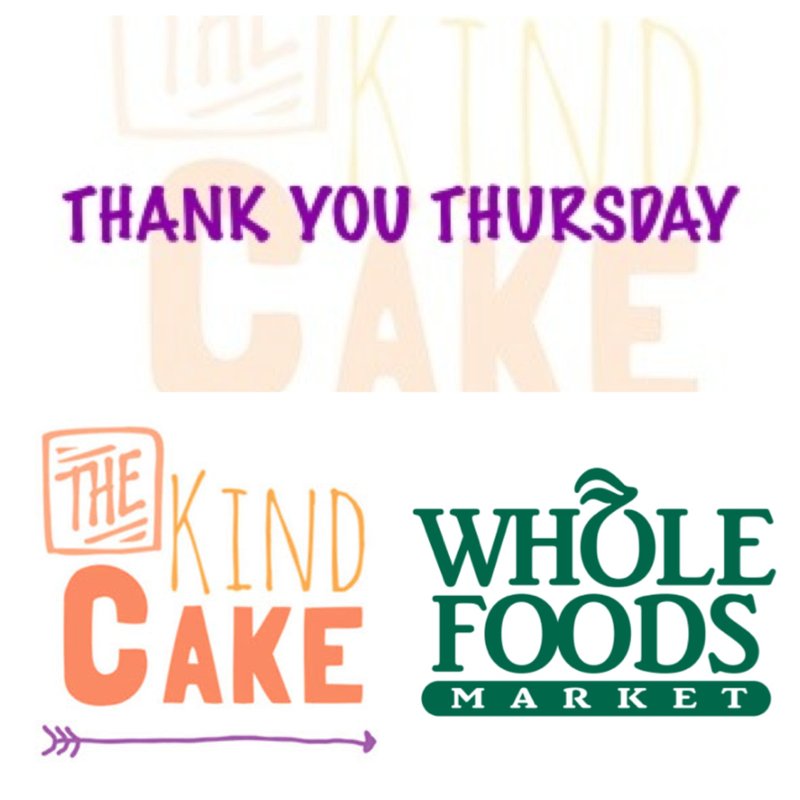 On this "Thank You Thursday" I am so excited and grateful for the opportunity to be a vendor at the farmers market hosted by Whole Foods every Thursday afternoon from 4 p.m. to 7 p.m. starting June 12th! I am such a fan of that grocery story and their employees who have been nothing but kind and accommodating to The Kind Cake. I will be getting more information at the top of next week and will make sure to keep you updated so that if you are in the Nashville area you can swing on by to fill up on some kind cakes! Thanks for all of your support and encouragement; I wouldn't have gotten this far without it! Today's "Thank You Thursday" is brought to you by YOU. I still can't seem to wrap my head around how you all have been so supportive with kind words of encouragement, but maybe it's not for me to understand and I'm ok with that. 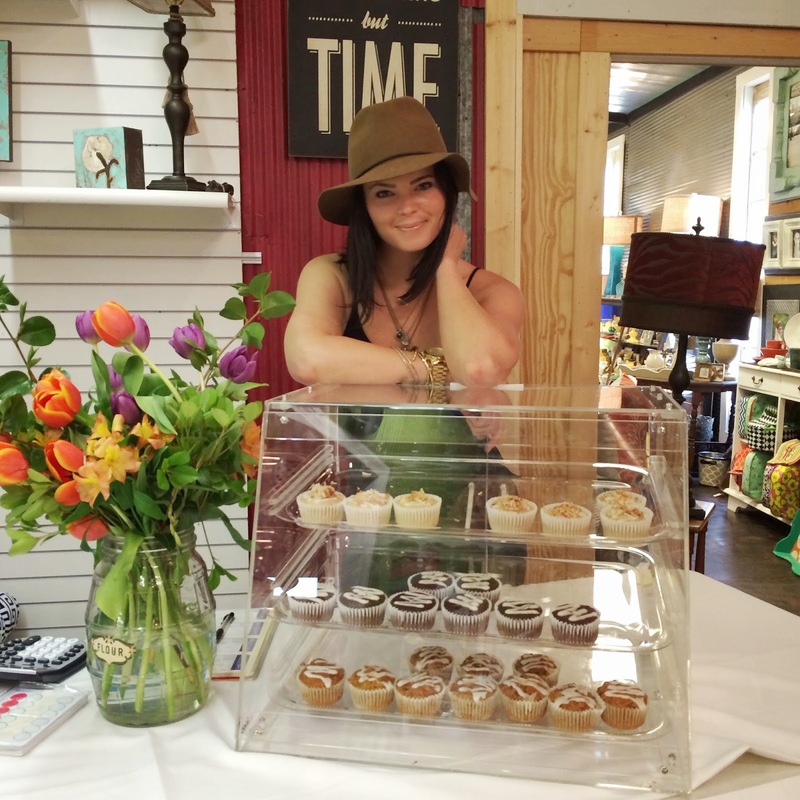 Opening up a small business with sizable aspirations is no easy feat (as if anyone really needs to be told that). This is a realization I face every single day, and again, I'm ok with that. When I meet obstacles that make me feel like I'm on this solo ascent of Mt. Everest, it never fails - someone will send me an email, Facebook message, text, fax, morse code, pony express ANYTHING to say "keep it up," "don't quit," "I think The Kind Cake's mission is so cool." To those people who have supported me through words of encouragement, good vibes and prayer: this 'thank you' is for YOU and I mean it from the bottom of my heart. The positivity you show is never ever lost on me, in fact, it's exactly what keeps this train ah-movin'. Know this: your support transcends me and the business and goes into the world to make it a little better and I feel very confident that what you all have done for The Kind Cake will positively effect, maybe even change, someone else's life. 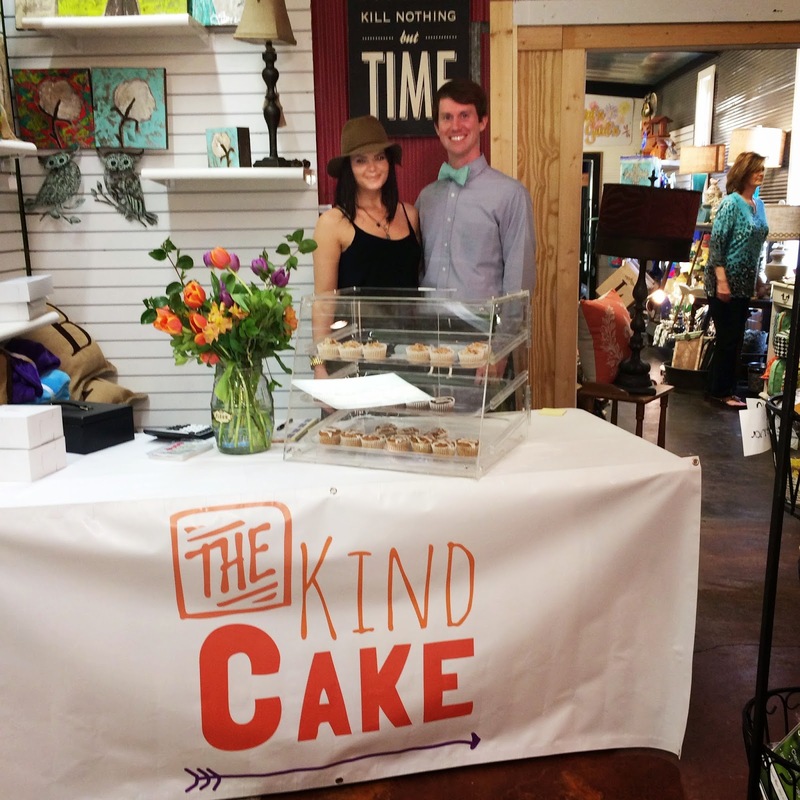 This past Saturday The Kind Cake had its first pop up shop at Ballyhoo in my hometown, Mendenhall, MS. It was a blast and a half! I was in some really great company too! My sweet friends over at The Good South, Jason Welch and Steven Nelson, also had a popup that day and the people showed up in droves for their beautiful bow ties! 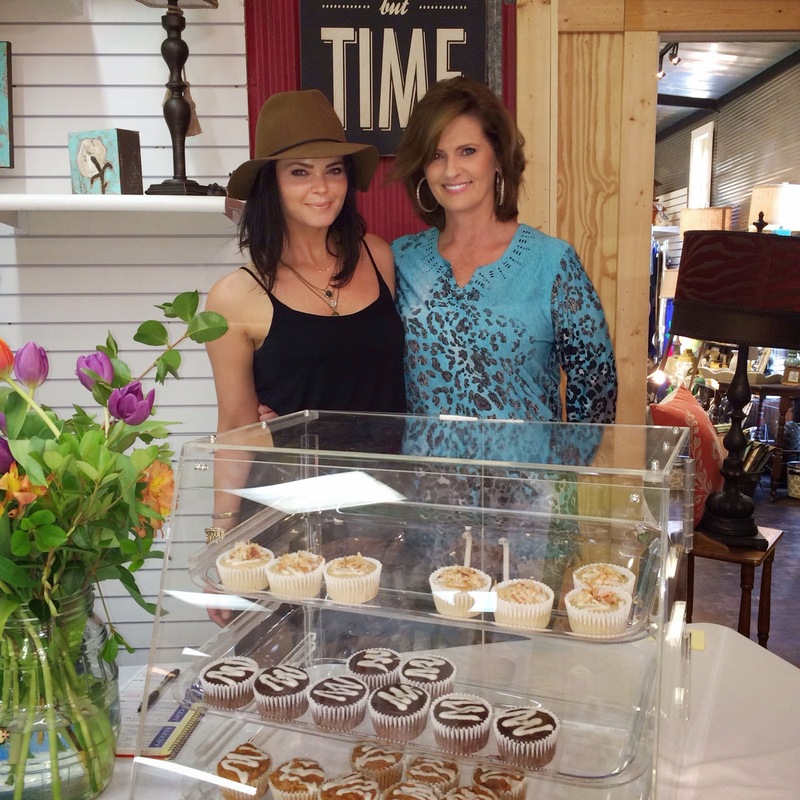 Also, the talented author and actress, Chelsea Hankins, was there signing her latest book, Death of Eden! I LOVE my hometown and the people in it. I can't tell you just how grateful I am for the generosity, support and love they showed me this past weekend. I come from the greatest town in the nation.....there, I said it. We are about 2,500 strong (3,500 counting outside city limits) and literally everyone knows almost everyone. I am so thankful to have roots in this little city with the biggest heart. To everyone who came out to show The Kind Cake some love, I can't thank you enough, seriously. Y'all are the ones who helped shape me into the person I am today and I love you for it. I hope I can bring The Kind Cake back to its roots for another visit sooner rather than later! Much love to every last one of ya! This is my mom being mom: amazing, supportive, loving and beautiful. a.k.a. brother from another mother, a.k.a. JDub.